So I pre-ordered the phone and it arrived that Tuesday – I got it before it was released! Yay me! This phone is AWESOME! By far the best phone I’ve ever had (my last was the Motorola Razr Maxx). I’m not going to give a full review since there are many reviews already out there, but I would like to highlight some things that I love so far. Battery life – I tested this out and I was able to go two full days, playing games, downloading all my apps and more, checking all email accounts, etc. I will confess that I have Phone Schedule installed that may help with the battery life. Screen – So crystal clear and vibrant that I could just stare at the screen lock screen all day – but I don’t because that would be weird. 🙂 I also love the 5″ screen. Case – So many people have complained about it being made of plastic, but I don’t see the big deal. 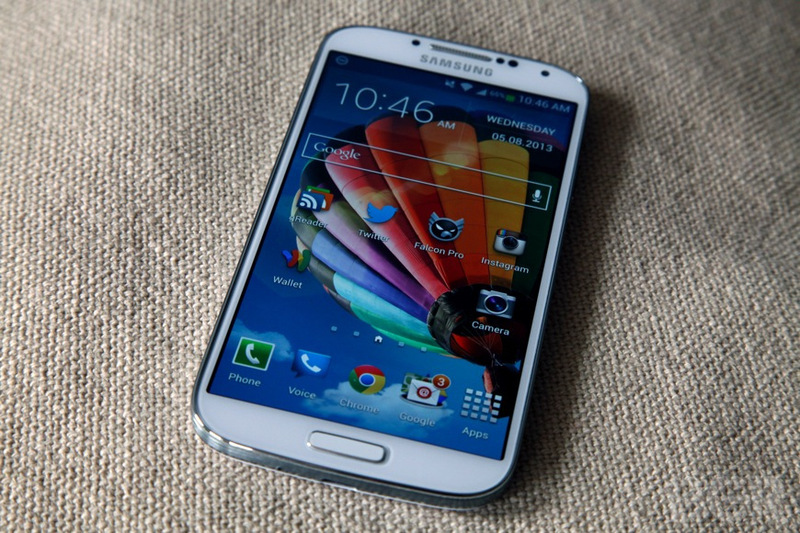 It’s lightweight and thicker than the S3. At first I was concerned that there was only one button on the front. It took me a bit of time to discover that the back and menu button magically appear beneath the surface of the case. Once you know they are there, you don’t need to always see them so I love that they hide them, so to speak. Touch Sensitivity- The phone is very sensitive to touch. The lock screen can sense your finger before it even touches the screen to unlock the phone. Very cool! NOTE: I haven’t tested out the swipe and the eye-ball features yet but will in the coming weeks. I’ll update this blog once I learn more about the phone. If you have any questions on what this phone can do or can’t do please leave me a comment, and I will do my best to find an answer for you.